 Domina St. Petersburg pays particular to every detail of an event. We are certain this is the key to making the best impressions. Domina concept is superior hospitality, especially in created a feeling like being at home. We know what our guests value, traveling in search of new experiences, as well as though visiting St. Petersburg on business. Regardless whether business or pleasure brings you to this city on the Neva, you have a home where you can comfortably attend to all your needs. We are ready to organize an event that will lead to lasting memories or become an effective element of your business strategy. Dedicated service and attentive care to detail, Domina St. Petersburg is the perfect solution either for leisure and for business traveling.